Siemens wants to release security advisories on the second Tuesday of every month, similar to Microsoft, Adobe and SAP. “We constantly improve our service quality and are eager to give you the best options we can to run your Siemens systems as secure as possible. Our approach with vulnerabilities in our products is to communicate them transparently and responsibly,” Martin Ruf of Siemens ProductCERT told customers via email. 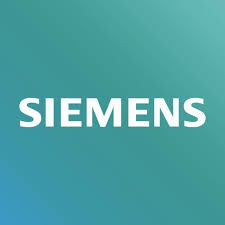 Siemens’ advisories typically inform customers of vulnerabilities, but they don’t always announce the availability of patches. The German industrial giant also uses advisories to tell customers that it’s investigating the impact of specific flaws on its products, that mitigations and workarounds are available for a security hole, or that fixes are in the process of being developed. One out-of-band advisory was published on November 27, when Siemens revealed that some of the Linux and GNU components of a multifunctional platform for its SIMATIC S7-1500 industrial automation controllers are affected by over 20 vulnerabilities. It’s not uncommon for Siemens products to be exposed to attacks due to vulnerabilities in third-party components. The list includes several variants of the Meltdown and Spectre vulnerabilities, and the Foreshadow/L1TF flaws.